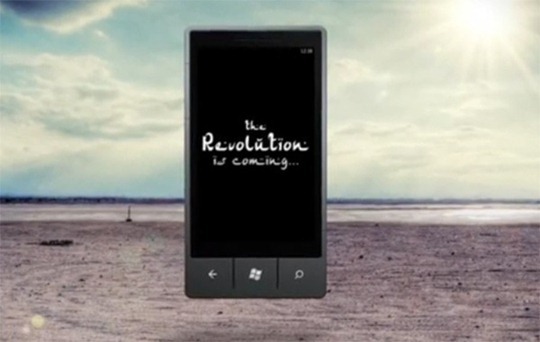 Microsoft has just premiered their first ad for the upcoming Windows Phone 7 platform. This teaser ad features Lawrence of Arabia theme and promises a lot of great things to come. According to the ad, “the revolution is coming”. Check out the video for yourself after the break. The expectations are high. Windows Phone 7 can make or break Microsoft in the mobile space. This is Microsoft’s time! It is their BIG attempt to get back into the game. From all the previews that we have seen so far, Windows Phone 7 seems to be quite promising. Windows Phone 7 has already RTM’d and all that is left now is for manufacturers to boot it on the new devices and start shipping them this holiday season! Keep your eyes peeled! A revolution is surely coming.